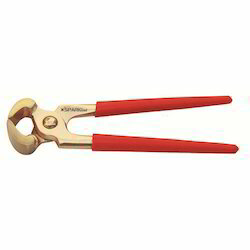 With a firm commitment to quality, our organization is involved in offering a wide ambit of Carpenter Pincer. 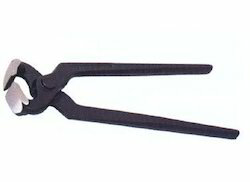 We are offering Carpenter's Pincers to our client. Riding on unfathomable volumes of industrial expertise, we are manufacturing and exporting an excellent range of Mechanical Pincers. Drop forged from carbon steel hardened jaws. Powder coated. Keeping in mind ever-evolving requirements of our respected clients, we are offering a premium quality array of Cobbler Pincer. Being a leader in the industry, we are engaged in offering a qualitative range of Top Pincer to our customers. Standard Packing in Carton: 100 Pcs.